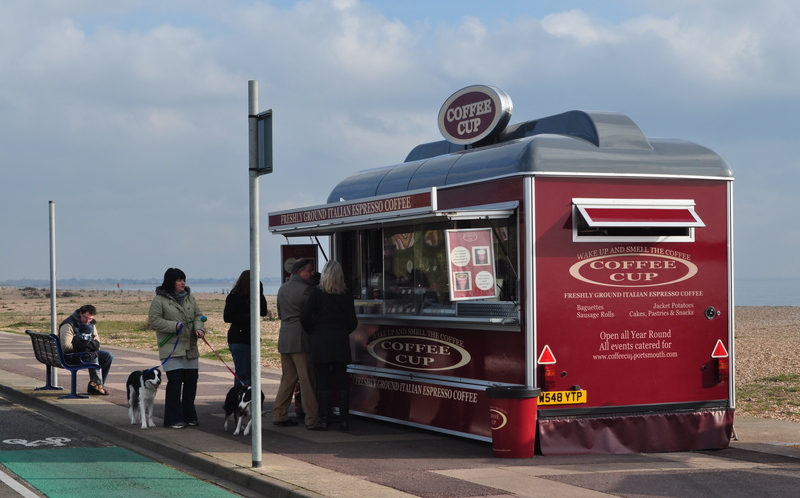 I wish there were more pit-stops available in winter time on Southsea Beach, Portsmouth, Hants, but this one, to the Eastney side of the Pier, is cherished by dog walkers like myself. With a wooden platform built over the beach,you can take your faithful friend with you to enjoy a welcome hot coffee (and a wicked snack) with a great view. Affordable too. Coffee Cup rocks.